Welcome to the Tufts GIS Poster Expo home page. 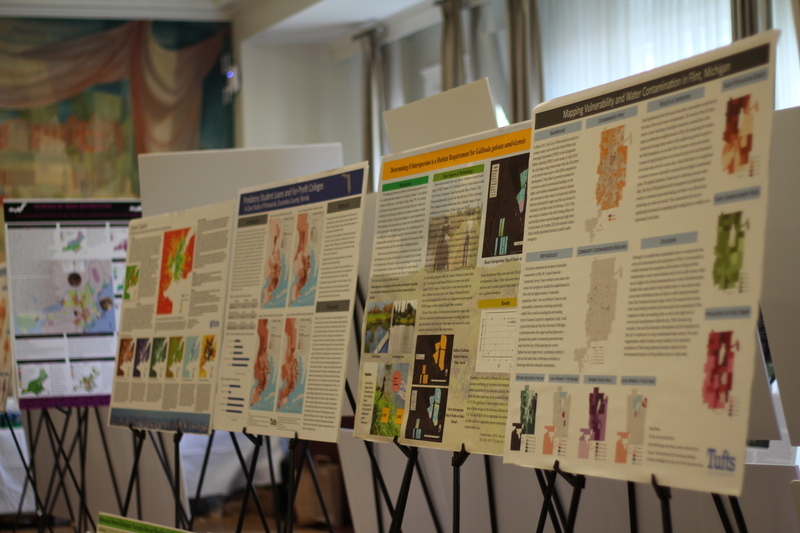 Every spring The Data Lab and Tufts Technology Services hosts the annual GIS Poster Expo. Students, faculty, and staff are invited to present their work as part of a university-wide exposition of geospatial research at Tufts. Please feel free to browse past years poster galleries below. 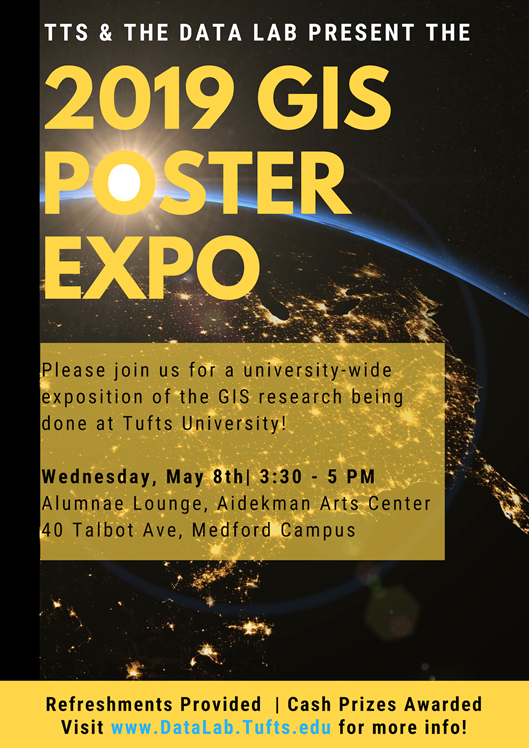 Please join us for Tufts 13th annual GIS Poster Exposition where over 230 students will present their work along with Tufts faculty and staff. Refreshments are served and prizes are awarded to the top student entries. Use our Expo Explorer Application to interactively view GIS Posters from 2007 to current. This tool allows you to search by Topic, Subtopic, Methodologies, Student Depart, Class, Year, and more!